A freelance writer, editor and photographer, she regularly logs 100 days a year on the slopes. Catherine has written for a variety of publications including Aspen Sojourner magazine, the Rocky Mountain News’ Adventure section, Skiing magazine, and Powder.com. Catherine Lutz is a freelance writer, editor, and photographer based in Aspen, Colorado. She has written for a variety of publications including Aspen Sojourner magazine, the Rocky Mountain News’ Adventure section, Skiing magazine, and Powder.com. Lutz also spent more than 10 years as a reporter and editor for various newspapers in the Aspen area, most recently as managing editor of the Aspen Daily News. Lutz moved to the mountains in 2000 for a newspaper job, and stayed because of the skiing. 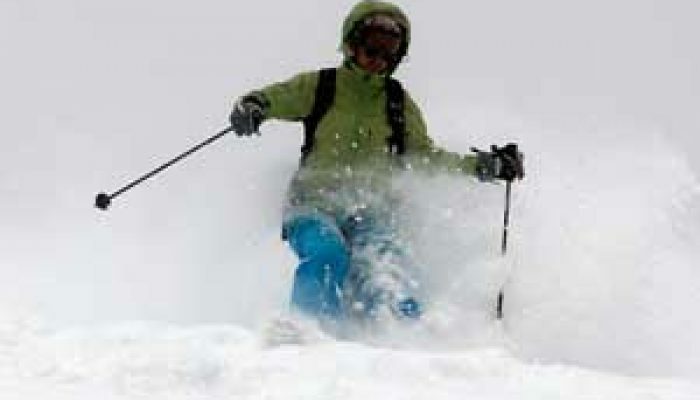 She typically logs more than 100 days on snow each ski season (for which she was featured in Aspen Magazine). Though she relishes storm skiing and long backcountry tours, Lutz anticipates spending plenty of time on the bunny hill the next few seasons, teaching her daughter her passion.